AN ELDERLY man fought off a man with a golf club during a terrifying aggravated burglary in Berwick on Tuesday night. Police have been told the man was walking with his 73-year-old wife into their Harkaway Road home about 9.30pm when an unknown offender followed them into the property. The man, who was armed with a knife, demanded money from the couple before pushing the woman onto a couch. The elderly man picked up a golf club and struck the offender on the upper and lower back and arm, causing him to drop the knife. The offender picked up the knife and fled, leaving the woman with minor injuries. 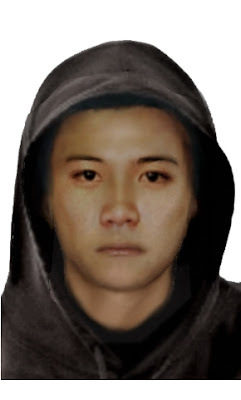 The male offender is described as being of Asian appearance, aged 16 to 19 years, about 177cm tall with a slim build. He was wearing a hooded top, black track pants and dirty white runners. The elderly man will speak to the media about his ordeal later today. Casey CIU detectives are appealing for witnesses following an aggravated burglary on an elderly couple in Berwick on Tuesday night. Police have been told the victims, a 79-year-old man and a 73-year-old woman, were walking into their Harkaway Road home about 9.30pm when an unknown offender followed them into the property. The unknown offender, armed with a knife, demanded money from the couple before pushing the woman on to a couch. The male victim has then picked up a golf club and struck the offender on the upper and lower back and arm, causing him to drop the knife. The offender then picked up the knife and fled the property in an unknown direction. The woman suffered minor injuries during the incident. Police have release an image of a man they believe may be able to assist with their investigation.